Paige and Leon tied the knot just outside of Auckland, New Zealand. They wanted to keep it simple and keep it as much about the two of them as possible and opted for a lovely garden wedding at Hedges Estate. 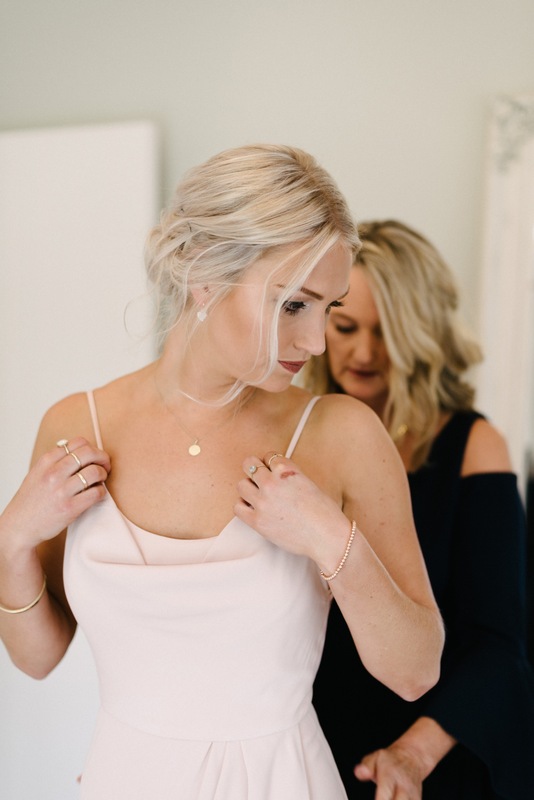 The styling was put together with the help of family members and they dressed the entire reception themselves along too with the help of their bridal party the evening before the wedding. Some of their favourite details include the most beautiful handcrafted macrame hanging used at the ceremony made by Paige’s Aunty. Also the homemade bouquets and floral arrangements by Paige’s Nana and Florist – Lesley.